We are devoted to safeguarding the privacy of our website visitors; this policy sets out how we will treat your individual data. 1. What Data Do We Gather? 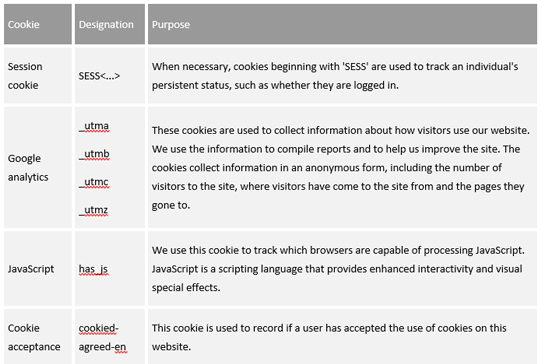 Most browsers allow you to reject all cookies, whilst some browsers allow you to reject just third party cookies. For instance, in Internet Explorer you can refuse all cookies by clicking “Tools”, “Internet Options”, “Privacy”, and selecting “Block all cookies” using the sliding selector. Blocking all cookies will, though, have a negative impact upon the usability of many websites. · deal with enquiries and complaints made by or about you relating to the website or to Graeae Theatre Company. We will not without your express consent provide your personal information to any third parties for direct advertising. Your data is always held securely. Access to customer information is strictly controlled. We may use your personal information (including your name and contact details) to keep our database up to date and for study. Graeae Theatre Company is a charity and we may use the data we hold on our database to better understand our backers, including for fundraising purposes. This can be based on data provided by you or publically available sources. We may share your personal information with other organisations for research and analysis purposes, but will not share data with any third parties for any purposes other than those that will benefit Graeae Theatre Company. We require that such organisations meet our standards for handling information, and that it is only used for the agreed purpose. 2) Our customers and partners benefit from this processing, as they are kept up-to-date on our latest activities, productions, and news. We also benefit by creating audiences to experience and appreciate our work. 7) We are not routinely processing the data of children. That being said, we from time to time do collect the data of children in relation to our productions and (especially) workshops. Any such data shall be obtained with the express permission of the child’s parent or guardian and treated accordingly. On balance, it can be concluded that legitimate interests are an appropriate lawful basis for our processing activities. · in order to establish, exercise or defend our legal rights (including providing information to others for the purposes of fraud prevention and reducing credit risk). We will take sensible technical and structural precautions to prevent the loss, misappropriation, or modification of your personal data. Of course, information transmission over the internet is inherently insecure, and we cannot promise the security of data sent over the internet. You are accountable for keeping your password and user details private. We will not ask you for your password (except when you log into the website). You may instruct us to provide you with any personal data we hold about you. Delivery of such information will be subject to the supply of appropriate evidence of your identity. You may instruct us not to process your individual information for marketing or fundraising purposes by email at any time. In practice, you will typically either expressly agree in advance to our use of your personal information for marketing or fundraising purposes, or we will provide you with a chance to opt-out of the use of your personal information for marketing or fundraising purposes. We retain all data collected for a period of two years, after which information which demonstrates dormancy (for example, the subject has not opened an email from us in two years) is purged from the system. You have the right to complain to the ICO if you think there is a problem with the way your data is being handled.